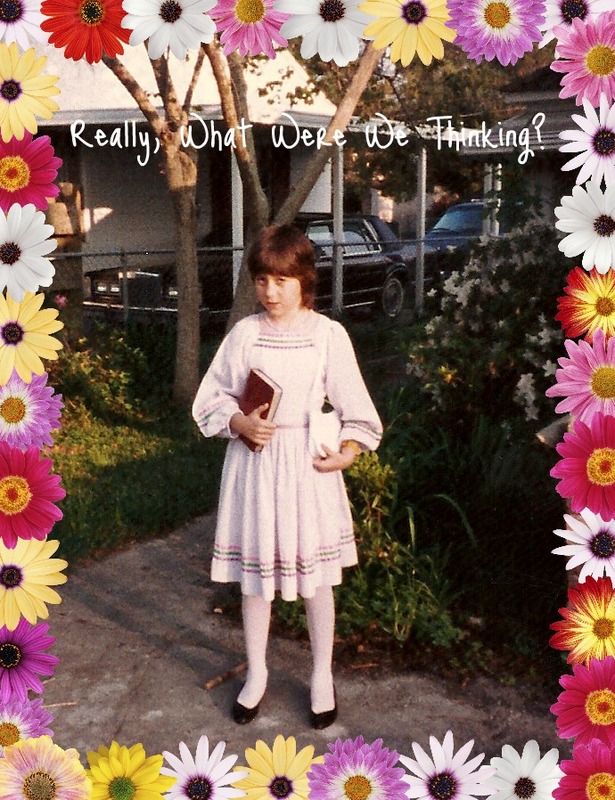 Easter Sunday Confessional - Really, What Were We Thinking? Tweet Okay, I know and accept that I'm not exactly a trend-setter when it comes to fashion. However, I generally look presentable. I prefer classic, American styles (see Ralph Lauren or some pseudo-Hippie commune in NorCal) to anything trendy. If it can't be worn with flip-flops, it shouldn't be worn. My go-to wardrobe is comfortable. I like jeans, capris, peasant skirts, t-shirts & tanks. I don't really stand out too much in public unless I'm wearing Klaw. 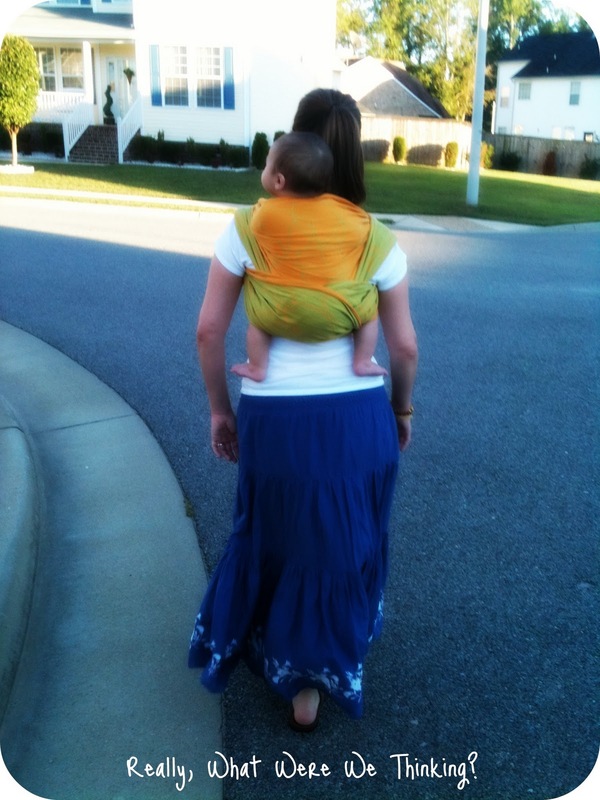 I am a trendsetter in babywearing around here...but I digress. My sense of fashion has not always been so pleasant. Sometimes, I embarrassed myself dressing up for special occasions. How on EARTH could Dana's mom let her leave the house looking like this? -The Easter dress was a hand-me-down from a family friend (not uncommon for me). -I only received two pairs of dress shoes a year - one black & one white. Obviously, it was not time to purchase my "summer" shoes. -It's hard to tell, but the tights are lavender...to match the lavender dress. -Yes, that's a mullet. This was an improvement. Trust me. -I am wearing a Swatch watch. It's not as cool as it may seem. Swatches weren't cool in the states until the following year. Dad lived in Germany & bought it for me. -I have never particularly liked having my picture taken. I just fake it better now.